It is time for education to evolve and start betting on modern and interactive methods such as video games to get children's attention. 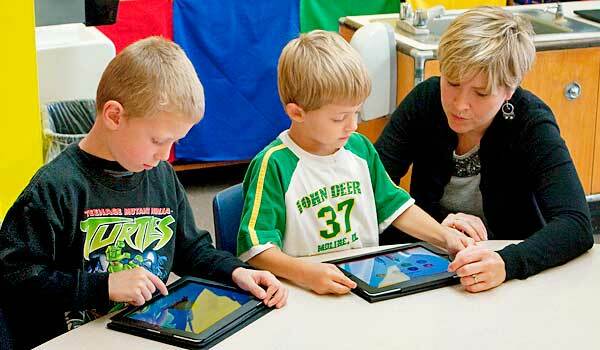 It is a fact that educational games have a positive impact during the learning process of our kids. Children retain more easily the information when they relate what they have learned to entertainment. By playing games kids can develop for themselves social skills, increase their curiosity and creativity or improve their learning. Most of the time kids might think that educational games can be boring and tedious, that is why video games are a great alternative. These ludic platforms really grab children’s attention because of their modernity and entertainment, it stimulates and motivates them because they don’t see playing at a videogame as a duty but as a fun thing to do. And they get to learn and develop their skills while playing. Learning through video games is a concept not everyone accepts since video games have been related to leisure and spare time for a long time. They have also been identified as negative for children and teenagers as video games are seen as violent and a hypnotizing waste of time. Although, the youngest generations are arriving to a world that is getting increasingly technological and education also needs to adapt. Professor and expert in learning with video games, James Paul Gee, supports that “video games work just like we know books work”. Every kid has the same opportunity to learn according to the American law, but “the opportunity to learn is not the book. It’s whether you can bring experience to the book”. That experience Gee refers to is the game. And nowadays kids get the experience through their mobile phones or computers; whenever they need information about anything or want to know something they basically turn to the Internet, and in a few seconds they find what they want. The traditional way of teaching is getting obsolete and new technologies are being needed in the classrooms. These are indispensable tools to get the students attention and motivation because they introduce the curricular content to the children from a closer and more modern approach. It is important to educate children from a digital point of view since they are going to need this kind of skills everywhere. We have to deal more and more with machines and informatics than with actual people, and communication has been transferred to social media, emails and text messages. Getting to know the Internet is actually very important for their own safety; how to use it correctly and in a responsible way, to be aware of the dangers they can find and avoid them, and to identify what information is reliable. Learning by playing has always been the greatest trick to get kids’ attention when it comes to studying. This technique awakens the interest and helps them understand that learning and having a good time are not at odds. But, in this case, video games require more concentration from the child: he first has to learn how to use the game console, then understand how does the game work and play. However, nowadays kids are used to all these technological devices so they will be more responsive and curious. Besides, educational video games are interactive and very visual which is important for small kids who pay easily attention to the things they see through their own eyes as they don’t know how to read yet. Games such as Coloring game or Paint online bring them the opportunity to play –but also learn and work- with colors, shapes and pictures. The greatest benefit about this digital version of educational games is that they can be played online, so kids can train their abilities whenever and wherever they want with a Tablet, computer or mobile phone. These are games kids play on their own so they learn new concepts by themselves and by making mistakes and solving problems with no help, making choices and taking decisions. It also improves the children’s memory capacity because they have to remember how the video game works and they usually remember what kind of exercises and games he has done. “When human beings understand anything, whether it’s a text or the world, they understand it not by abstract generalities, but by literally being able to run in their head a simulation of images, actions and experiences that the words refer to. When a human being is doing that is when they are thinking, because they have to get ready to take an action and they want that action to succeed, they think really well. But when you ask them to think about stuff but there’s no action they are going to take and they don’t really care what the outcome is, they think very poorly”, explained James Paul Gee to Edutopia. The gaming expert says in his book Learning by Design: Good Video Games as Learning Machines that “the designers of many good games have hit on profoundly good methods of getting people to learn and to enjoy learning”. 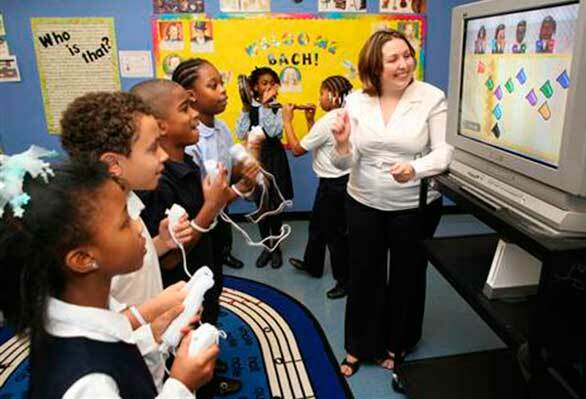 According to Gee that would be the reason why video games are quite more motivating than the classic education methods, and that’s is why schools should start popularizing this new way of learning in the classrooms. It has been noticed that introducing video games as a tool to make a class and teach lessons has brought out the motivation of the students who prefer to learn having fun than just sitting and listening to the teacher. They mainly see it as a game so the fear of making a mistake or having a wrong answer disappears completely, which removes all the pressure and helps the kid starting to like studying. This is why some schools and teachers have started to introduce this techniques in their classes. Microsoft is planning on introducing the famous video game Minecraft in schools. An educational version was already created in 2011: Minecraft Edu, which helps teachers to incorporate the game to their classes. Microsoft bought Minecraft in 2014 and this summer 2016 the multinational wants to expand the presence of the Minecraft Edu app in schools. They are planning on putting a price of $5 per year for each student. More than 7.000 schools in different countries have Minecraft Edu and are already using it as a teaching and learning tool. But it’s not the only video game that has arrived to the classrooms. In 2013 a Physics teacher called Shawn Young created a role game as a teaching method to use with his students. Classcraft is an educational version or World of Warcraft and helps the teacher motivate the students and keep their results and behaviors on track. While Minecraft is a great game for geometrics and solving mathematical problems, for instance, Classcraft improves also the teamwork and increases the student’s involvement. The game consists on making teams in which each student has a different power and mission: warriors, priests and mages. Depending on their actions (which can be the behavior in class or their marks) they can gain or lose experience points (XP) or health points (HP) and affect their team. The clue is to combine books and new technologies such as video games. It is important to take into account that the new generations are looking for modern methods and they live 24/7 connected to a technological device, so in order to get their attention and improve their education we have to adapt to the new times and to them.